I hope everyone has been lapping up this beautiful weather we have been having these past few weeks. It has completely distracted me from my usual evening and weekend routines. It's been so nice to have the back doors open all evening until we go to bed, the sound of the kids playing in the evenings and the dog walking in and out as he pleases, I love the smell of the Summer air, there's something so calming about it. Having such warm bright evenings has kept me motivated to get out and about walking to enjoy them and get things done around the house I had been putting off. 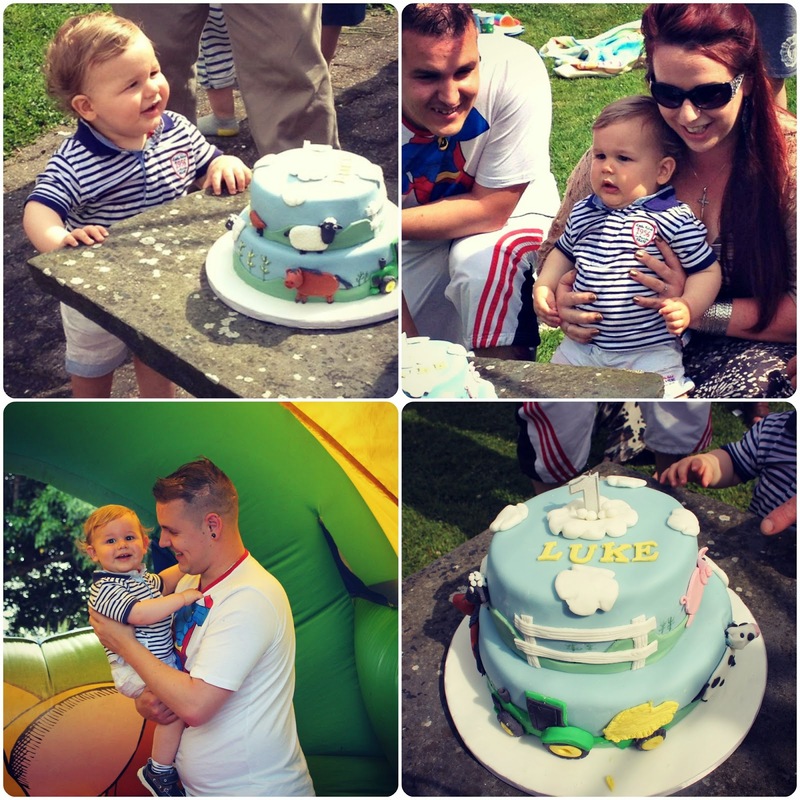 Celebrating the 1st birthday, Luke had a wonderful day at his party, the bouncy castle was of course a great hit! 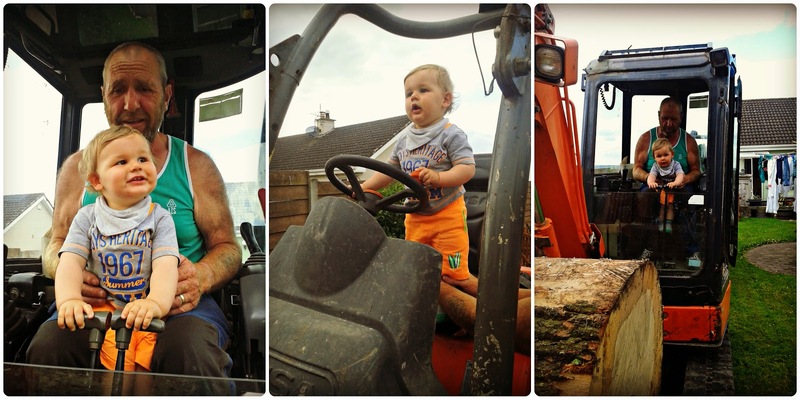 He had his first go in a digger and a dumper with his Grandad at the weekend, a driver in the making so he is! We've had plenty of sunny afternoons in Nanny and Grandad's back garden where Luke has enjoyed himself in the paddling pool with his big cousins. There's been a rare date night for myself and the OH, we went for a meal for the first time in ages and then met some friends for some drinks afterwards. 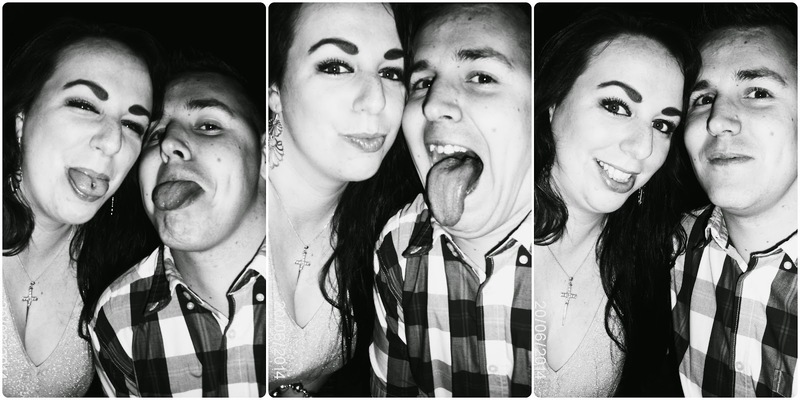 It was nice to have a night off. Of course the most exciting thing these past few weeks is our new addition to the family, our crazy but adorable dog Murphy. This boy is a boxador (I didn't know there was such a dog), obviously a mixture of a boxer and a labrador. He's still only a pup at 9 months old but he has fit right into the family. We re-homed him from a woman who no longer had any time for him. Luke loves him and he's already very protective of Luke. He's a bit of a whiner at the minute, he takes a while to settle down at night but he's a good dog besides that. 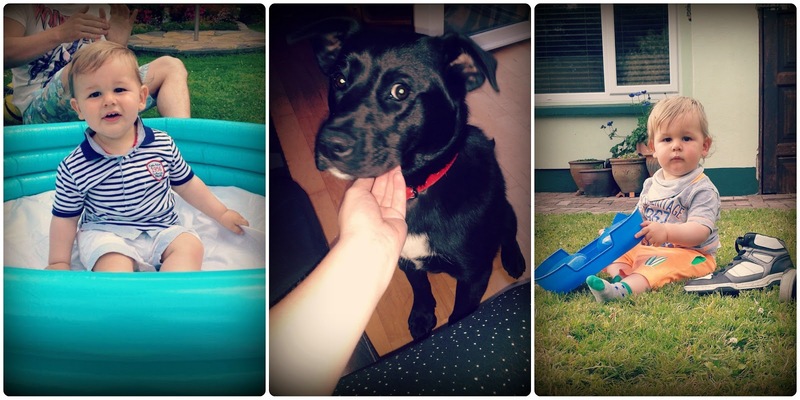 House trained and obedient and just wants lots of love and attention. Although I'm not sure I'm too fond of having to hoover twice most days but at least I know the floors are getting a good clean! 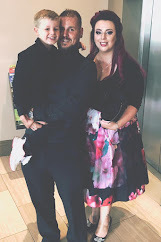 Work has kicked up a notch now that I'm back on a 5 day week for the Summer months, so far so good where Luke is concerned with it, he spends his time with his Daddy when he's off and then with his Aunty or Nanny. My 4 day week will recommence in September once the busy period is over. P.S I'd never heard of a boxador either, only a labradoodle!